But I don't see anyone's underpants. That'd just be weird. Spent the day in Camden Market, I think. There was a fantastic vintage store there called Rockit Vintage, as well as a bunch of punk stores with studded bracelets and red, plaid pants with zippers. Everyone was so stylish. There were tons of people with pink or purple hair, funky boots, creepers, and leather. I admire people like that, who can keep one sense of style that is super outrageous. I'm envious of them. We then took the Tube to the War Museum and toured around there for a couple hours. It was so interesting that we had to ask our teachers and tour guide if we could stay for a bit longer. love your boots and the all black ensemble! great! u re so lucky to see it)! Nice blog u hv here! wonderful post. i've enjoyed it so much. kisses and a wonderful weekend to you. WOW It's a really nice place! I like your all black outfits, it makes your hair really stand out! oh wow, you look wonderful in black. happy belated valentine's day anyway! You look great in black! P.S- I love your blog name! 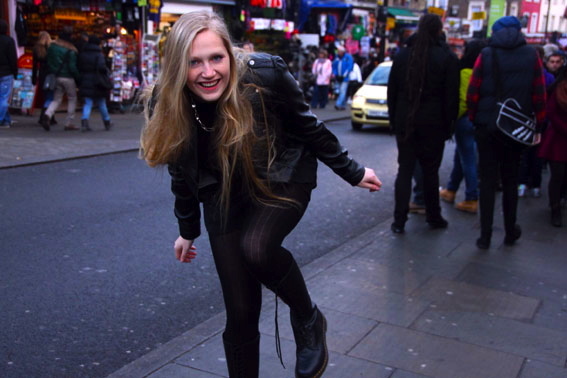 i love camden :) it's the best place in london. amazing pics - totally captivated by your blog and will follow it. would love if you visited mine and followed if you liked it! This is a great simple, but still fab look :) Your hair looks beautiful too. Love your hair, and glad you had a great time. I think I've been on that street! it looks incredible there! i'd love to visit! also, great outfit. all black never fails! Oh,, I LOVE LONDON! Wanna go there sooooon as possible!! Hele leuke foto's! Prachtige, inspirerende blog heb je. Ik ga je volgen! Wooow, super stylish! I really like the outfit from head to toe! Guau Guau Guau Incredible Outfit my dear, Just discovered your blog, you have a new follower. 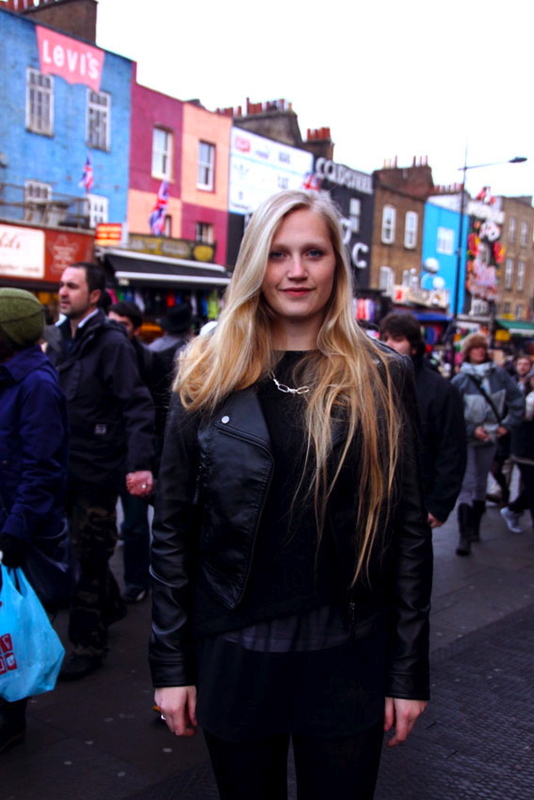 I lov Outfits with leather Jacket, nice pics from London market. oh how nice piccies ! That leather jacket is such a classic/badass piece, love it! I'm loving your blog girl, I'm your newest follower! I hope you'll follow me back and we can keep in touch. I love discovering new blogs! oh i love london so much !! i just found your lovley blog - and i love it !! Jealous- would love to be spending the day there! you're stunning, that hair wow! I love London, and you look gorgeous!! Have fun my dear! 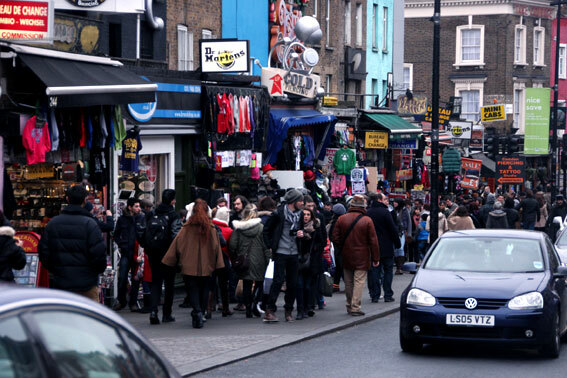 wow, Camden market looks amazing! Wish i lived closer to London! Oh I love LDN! and all those amazing markets there! that dark angel's building looks awesome, so original. 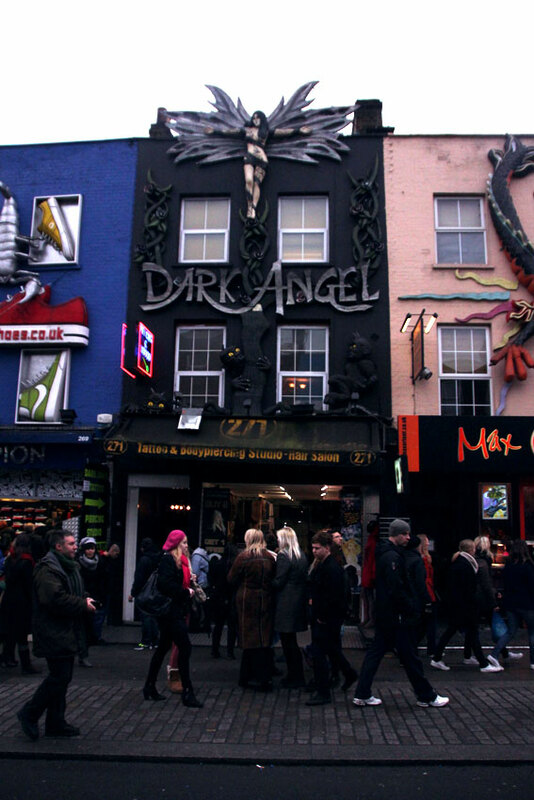 Oh wow, the angel tattoo parlor looks so cool o_o Seems like a fun street to take a walk at. LOVE Candem!!! And you look amazing! oh i would love to be in an environment like that and see all of the wonderful wild and outrageous looking people. must be so exciting! i really like that chain necklace!! Love Camdel market! your outfit is great! Aw! Hope you feel better! Great outfit! I love the black with your beautiful hair! you are so super fabulous girl! love all these images! I really, really love your jacket. It's perfect. IT'S COOL love your outfit so much. i <3 camden!!!! great look as always!!!! Love the peekaboo plaid honey! Such a fierce and badass look...super edgy! Thanks for visiting my blog love, hope you’ll be back to see my latest designs! 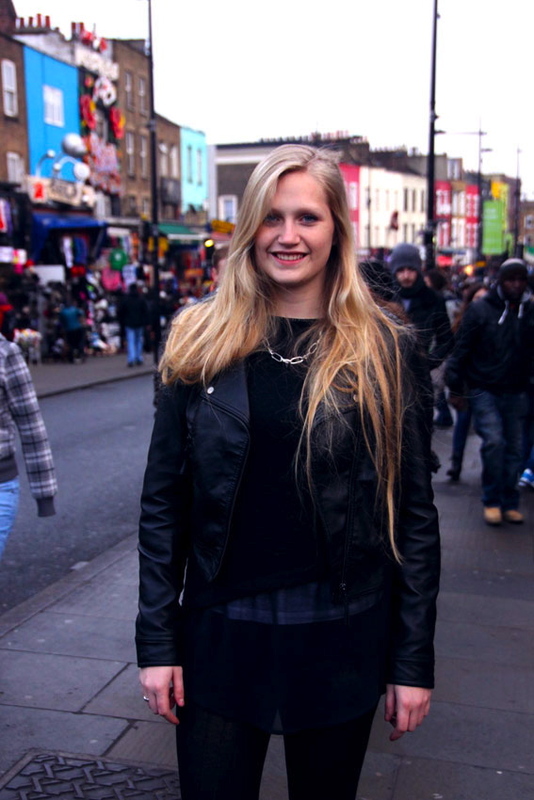 i love london!I just discovered your blog! and I must say that I really like! been to any parts of Europe yet. Thanks for sharing. Let's follow each other on GFC! I LOVE all your looks! So pretty! 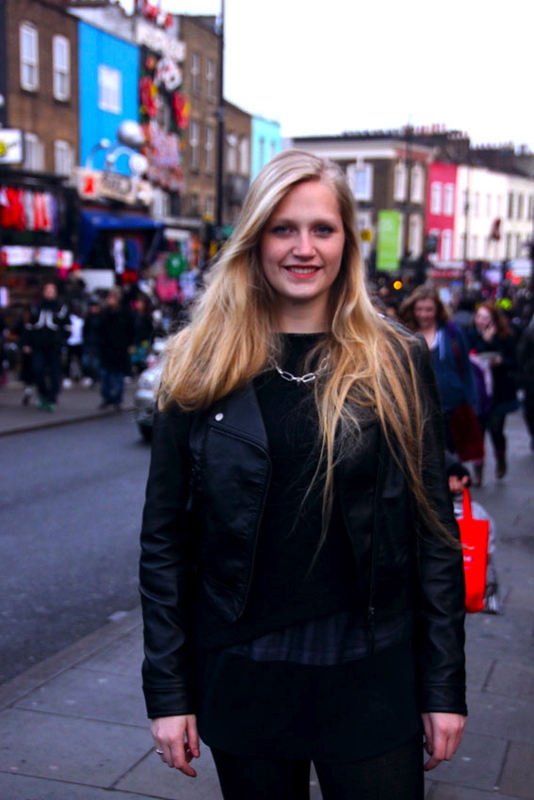 We are seriously loving your leather jacket! Amazzzing. Love this dark look, you're so pretty. Il est super ton look! WoW! Camden Market is pretty cool, huh? Jealous that you are in London right now!